PGC researchers Jose Antonio Ma. 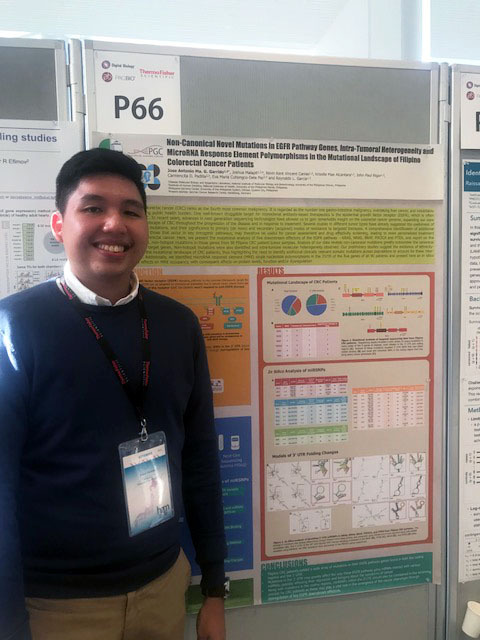 G. Garrido (L) and Krizelle Mae M. Alcantara (R) attended this year’s annual Human Genetics Meeting organised by the Human Genome Organisation (HUGO), the world’s leading organisation of scientists involved in human genetics. This year’s meeting, entitled “Genome Data and Health”, was held at Yokohama, Japan from March 12-15, 2018. The conference featured several talks and symposiums from some of the world’s leading scientists in the field of human genetics as well as venues through which to interact and learn from some of the foremost experts in the field. 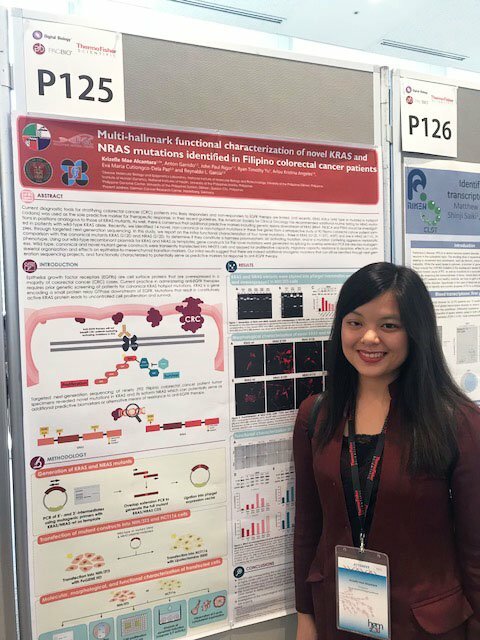 Mr. Garrido and Ms. Alcantara shared the preliminary findings of the two Philippine Genome Center’s projects, “Mutational analysis of KRAS, NRAS, PIK3CA, BRAF, and PTEN genes in Filipino Colorectal Cancer Patients,” and “Detection and Functionalization of KRAS, NRAS, PIK3CA, BRAF, and PTEN Gene Mutations in Filipino Colorectal Cancer Patients,” through poster presentations. Events, such as this, provide unique opportunities to not only learn from some of the most world renowned scientists in the fields of genetics and bioinformatics, but also to show off the ever-growing scientific capacity of the Philippines to the world.